MOVE! 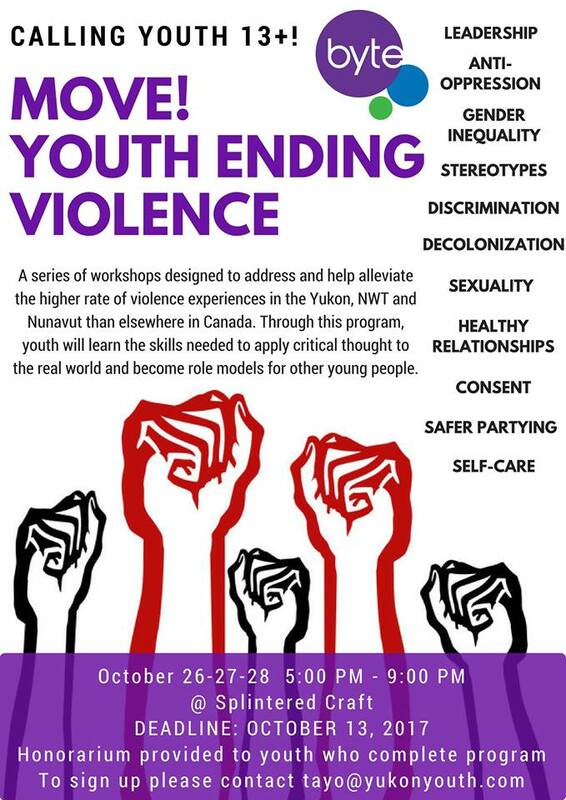 Youth EndingÂ Violence is an award-winning workshop series specifically designed to address the topic of violence by providing youth with ways to prevent and mitigate violence in their communities. After a successful first session, the program continued to evolve throughout the year. In November 2013 we ran another MOVE! session in Whitehorse with a new group ofÂ youth. This time, we targeted youth who were more likely to have seen or experienced violence in their own lives. This session took place twice a week over three weeks, and incorporated everything from gender stereotyping and anti-bullying to physical violence and bystander intervention. The Yukon, like the other Canadian territories, has a much higher rate of violenceâ€”particularly sexualized violenceâ€”than elsewhere in Canada. Our goal with MOVE! is to give youth the tools they need to avoid becoming the victims or instigators of violence. Thanks to funding from United Way and the Crime Prevention Fund, BYTEÂ hosted MOVE! again in 2014-2015. AngelaÂ worked withÂ Whitehorse youth for three and a half weeks for the MOVE!Â programÂ in November and December 2014, andÂ delivered the program in Haines Junction in February 2015.Â You can read more about our first session of MOVE!Â here, our November 2013 session here, and our Watson LakeÂ MOVE!Â programming here.Â LearnÂ more about Angela’s winter 2014-2015 MOVE! sessions here. 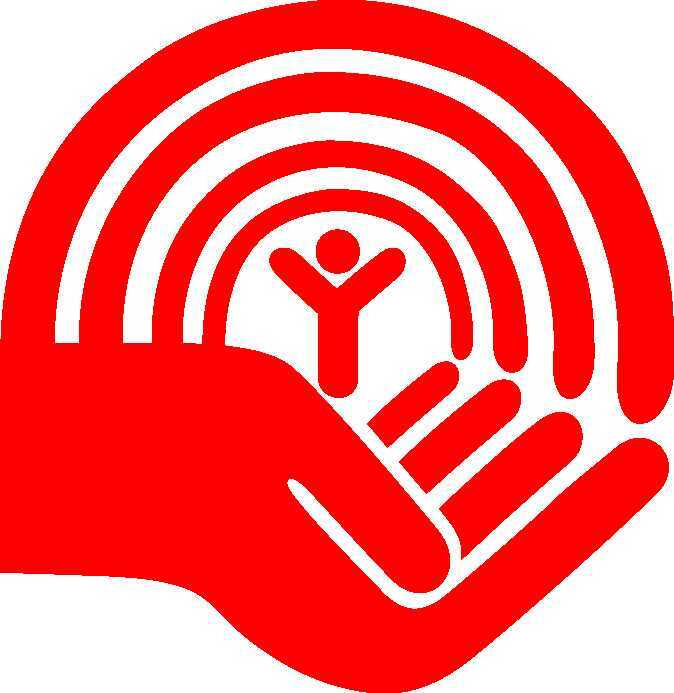 Thank you to United Way Yukon for their generous support ofÂ MOVE!Â in 2013 -Â 2015.